California power-trio Radio Moscow have just announced their return to Australia with a two week tour planned for down under in just a few weeks. The hard-hitting band have carved their own sonic niche in international Blues, Rock and Psych circles since their formation in 2003, regularly playing some of the world’s largest festivals including Ride Festival, Desert Daze, Electric Funeral, Psycho California and more, also having supported the likes of Graveyard, Witchcraft, Joe Bonamassa and Pentagram throughout Europe, North America, South America and Australasia. Their retro sound, fuelled by the likes of Hendrix, Sabbath, Zeppelin and Cream, bring waves of fuzzy hard-rocking riffs and sweaty, cranked up Blues straight to the listener in an epic and much-acclaimed live experience. 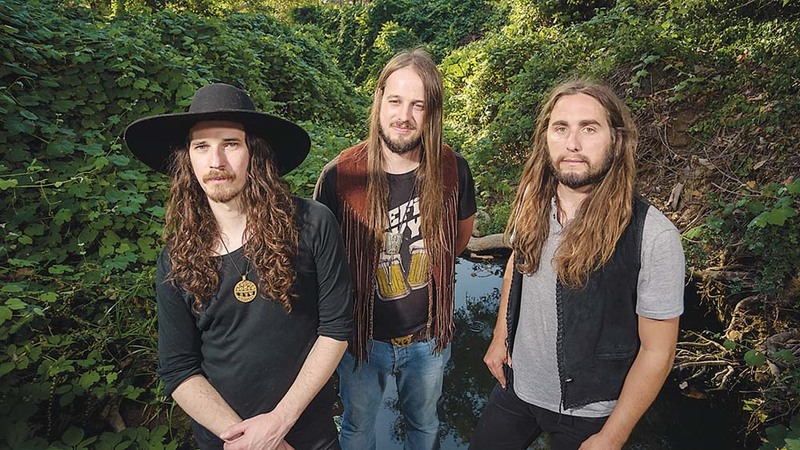 This tour will mark the outfit’s fifth studio album ‘New Beginnings’, a powerful 10-track Blues Rock ride, amongst the midst of a recent worldwide signing to Century Media Records. Previously produced by the likes of Dan Auerbach (The Black Keys), Radio Moscow regularly receive the highest of critical acclaim with the New York Music Daily citing their previous release “Live in California” as the Best Heavy Psych Album of 2016. Touring for Australian independent agency Beats Cartel, the band will line up for nine shows in two weeks throughout NSW, QLD, VIC, ACT, SA and WA in their first Australian jaunt since 2016. Queensland’s largest heavy festival Dead of Winter Festival will host the band as will South Australian event Holy Land amongst other Australian iconic Rock venues. The power trio hit Melbourne, playing Cherry Bar on Wednesday 04 July with QLD’s Hobo Magic and local act Devil Electric. 8pm $25/30. They then move on to play Pelly Bar in Frankston on Thursday 5 July, to be joined by Hobo Magic and local acts Dark Temple and Teenage Dads. 8pm $25/30. Tour tickets are available beatscartel.com/tickets.